ZEE5, India's #2 OTT platform known for its muscle in multi-lingual content, now associates with RailYatri to make travelers journey more exciting. In a one of a kind OTT offer, ZEE5 has introduced a sachet subscription exclusively for RailYatri customers. Valid for seven days, the special subscription will get bundled with the bookings done via RailYatri. With this offer, travelers can now explore the premium content for a week and download videos to watch their favorite shows conveniently, on the go. As part of the association, the charges for sachet subscription will be added to the ticket value. 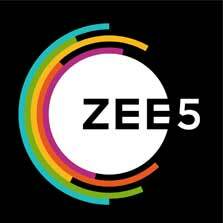 After the successful ticket payment, ZEE5 will get details of the customers to register and subscribe the user on the platform based on the travelling dates shared.